Mike Needs Help to Help Lucky--He Is Badly Injured by Furry Friends Foster and Rescue, Inc.
Lucky and Mike Need Our Help! Mike adopted Lucky from our rescue just last week. He saw his picture and fell in love! They met each other, and the feeling was clearly mutual! Yesterday we got a call that Lucky had escaped - he pushed his way through the door when Mike opened it to come in, and took off. Mike heard a screech of tires. Lucky ran. Lucky's previous foster family brought out their dog, Abe, to help find Lucky. Abe found a bloody paw print, took off running, and found Lucky! Abe is surely the hero in this story! Mike rushed Lucky to the nearest emergency vet - VCA Shoreline in Shelton. At first it was thought his legs were broken, and the good news in all of this is that they appear not to be broken. However, Lucky had a very severe laceration on one foot, and serious bruises and abrasions to his rib cage. They kept him in the hospital overnight to monitor him for possible internal injuries, as well as managing the considerable pain he's in. Animal lovers on Facebook came together to help Mike pay the very large bill at the emergency vet, and today Lucky was moved to Orange Veterinary Hospital, where he will continue to be cared for over the next several days as an inpatient. Orange is also the vet we use for the dogs in our rescue. They know Lucky from before he was adopted, and have all of his records. They've also received all the pertinent information regarding his medical condition from VCA Shoreline. He will continue to be evaluated at Orange. When they remove the bandage on his leg tomorrow and assess the wound, surgery may or may not be necessary to close it. He is in medical boarding at least until Monday. With pain medication and antibiotics, x-rays to rule out the possibility of breaks to his legs such as possible hairline fractures, medical monitoring and boarding, and still the possibility of surgery, the estimate for care from now through Monday is $800 - and may easily go up considerably after he is fully evaluated! Mike is a loving, responsible pet owner who will do whatever it takes to get Lucky the care he needs - but he needs all of us to help him help Lucky! Mike himself has a serious medical condition and as a result he has a fixed income through disability. There is just no way that he can possibly cover this kind of expense on his own. As a rescue, we stand by our dogs and support our adopters to do what is best for the dog they adopt from us. We are, therefore, asking ... no, BEGGING ... the animal loving community on Facebook, on Mike's behalf, to give whatever they can towards Lucky's care. Although Lucky is no longer "our" dog in our rescue, we want to support Mike and Lucky through this difficult time in whatever way we can. Every dollar that is contributed will go directly to Orange Veterinary Hospital for Lucky's urgent care. Should more be raised than is immediately needed, the remainder will stay in Lucky's account at Orange to help Mike cover Lucky's future medical needs. 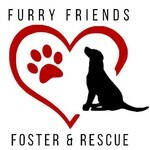 Because we are a 501c3 approved rescue, all donations to this account are 100% tax deductible. In this season of giving, PLEASE band together with us to help this totally deserving dog and his loving dad!